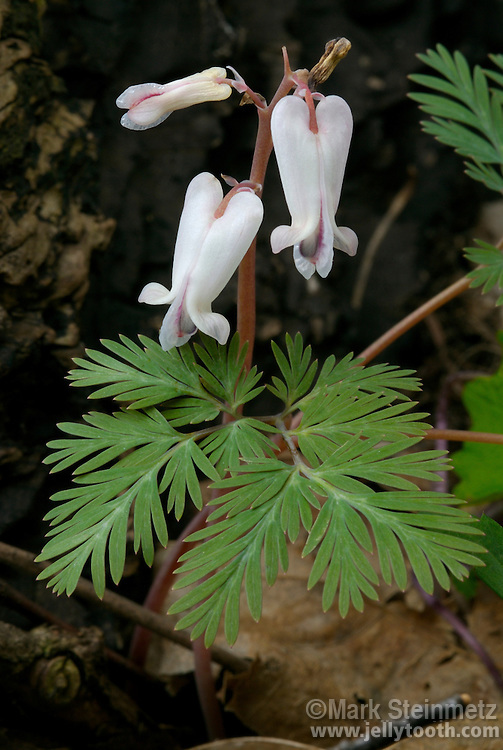 Squirrel-corn (Dicentra canadensis). Native to eastern North America. The common name comes from the yellow underground corms, which resemble grains of corn. Closely related to Bleeding Heart, a common garden flower. Franklin County, Ohio, USA.